Twickenham Stadium will welcome Northampton Saints and Leicester Tigers in round six of the Gallagher Premiership in aid of former Saint Rob Horne. But Horne will now be honoured on Saturday 6 October (kick-off 3pm) in this Gallagher Premiership fixture. This will be the first time the two rivals have met at Twickenham since the 2013 Premiership Final. "The club received countless requests from both Saints and Tigers supporters for a fitting way in which they could both bid farewell to Rob and also support him. There will also be a number of fundraising opportunities on the day itself, with donations going towards Rob's ongoing rehabilitation and ensuring some financial security for him and his family. Horne pulled on the Black, Green and Gold jersey 21 times last season - scoring eight tries as a Saint and being named the club's player of the season in the process. "Everyone at the club has gone above and beyond to support me and my family through an incredibly difficult time," he said. "I am touched by the additional gesture the club are making in staging this game, and I can't wait to see my teammates run out at Twickenham. The Rugby Football Union approached Saints to host a home match at Twickenham earlier this summer so they could test their new East Stand development ahead of the 2018 Quilter Internationals. A total of over 6,700sqm of distinct and contemporary hospitality spaces have been added to the venue. Joining the existing Rugby House and lower and upper tier executive boxes, the new Rose Garden, The Gate, The Lock and The East Wing, will help make Twickenham match days the ultimate experience for guests. The five new facilities are sold exclusively direct by England Rugby Hospitality™ and long standing partner Keith Prowse. The best in modern hospitality will unite with the history and heritage of the stadium. The facilities will extend existing hospitality, bringing new world-class, "suite-to-seat" experiences, combining high-level dining with rugby. RFU Chief Executive Stephen Brown, said: "We're delighted that Northampton Saints agreed that Twickenham was the right venue to host its home match against Leicester Tigers in what will no doubt be an exciting match between two fiercely competitive rivals. "This match gives the rugby family the opportunity to honour Rob and join the efforts to help raise as much money as possible for him and his family. We are expecting a big crowd, and this also gives us the opportunity to test our new East Stand facility ahead of the formal opening in the autumn." Saints' chief executive Mark Darbon admits the opportunity was an incredibly exciting one for the entire club. "We were asked to help test the new East Stand redevelopment because of our fantastic supporter base and the size of this game - the East Midlands Derby is undeniably the biggest fixture in English club rugby. "There was a significant financial incentive for the club to host the game - one we could not ignore - which enables us to maximise the funds we can raise for Rob. "This is also a unique opportunity for Saints supporters to experience the brand-new Twickenham East Stand development before anyone else. I hope it's a great day out for them at the home of English rugby." 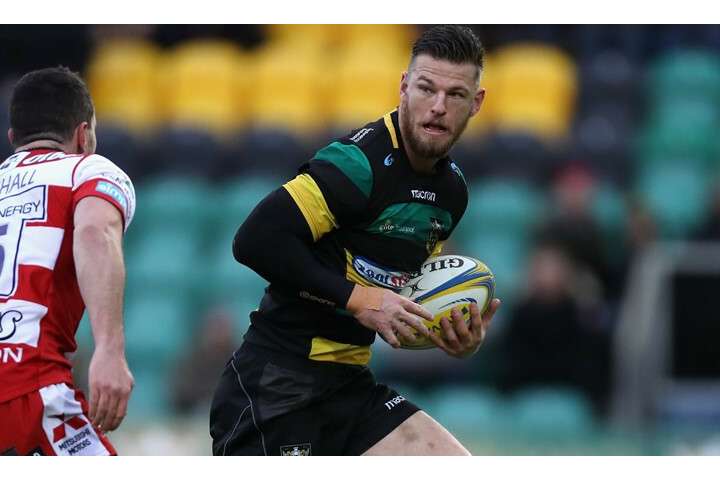 Rob Horne will be returning to the UK to attend the fixture in October and deliver the match ball after moving home to Australia with his family last week. Saints new director of rugby Chris Boyd added: "This is a great opportunity for the club and a great chance for the rugby family to get behind Rob. "I'm sure the playing squad are all looking forward to playing the derby on one of the biggest stages in the world at Twickenham - no doubt our supporters will create the same special atmosphere we have in Northampton down in London to get behind us." Hospitality packages for this match are available to book here.